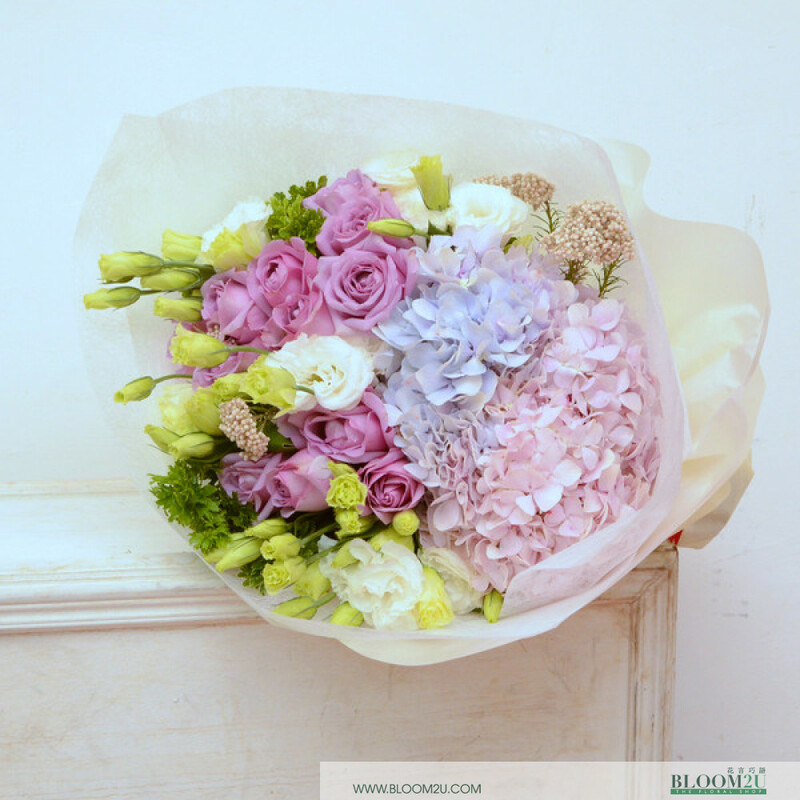 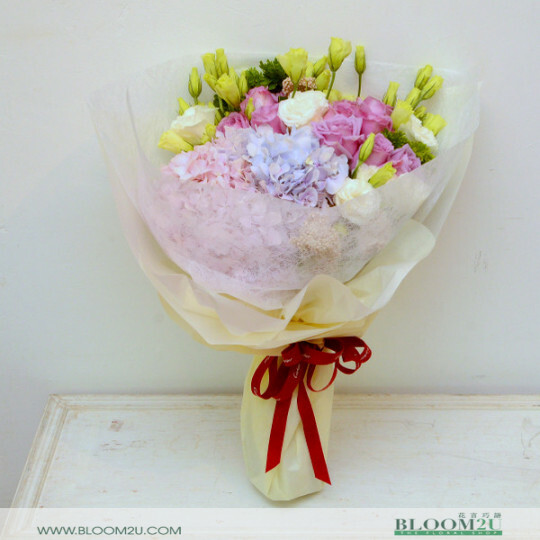 This bouquet consists of 12 roses, hydrangea and eustoma. Taylor Swift is a huge luxury bouquet for special occasions. It's beauty is contagious and shines through the crowd.